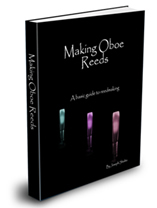 Here are some of the most popular oboe method books used in the US. look inside VadeMecum of the Oboist(230 Selected Technical and Orchestral Studies for Oboe and English horn). Edited byAlbert Andraud. For oboe. Woodwind Solos & Ensembles – Oboe Method/Studies. Instructional, Studies and Classical.